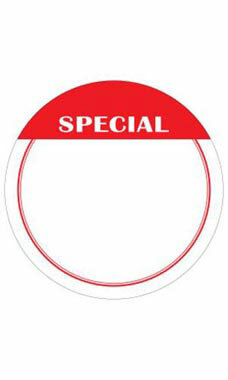 Circle Economy Special Sign Cards are convenient and effective for promoting specials in your store. These cards have a 5 1/2" diameter with bright red lettering and a white background that’s perfect for creating your own customized message. Sold in packs of 100.